As is often the case with fashion, certain trends come and go - granted, some for the better (need we mention ties with T-shirts). Jeans are a staple in every man’s wardrobe, but wearing them every day can get boring. When you require something slightly smarter than a pair of jeans, opt for grey flannel pants instead. 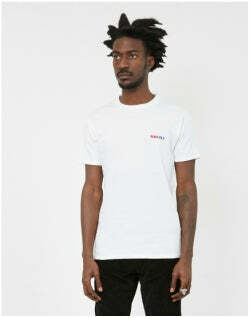 Check out more Men’s Style Guide features and check out our Store. Contemporary fashion trends have meant that flannel has sadly seemed to have lost some of its appeal. It has been relegated to something that only an older gentleman would wear which is such a misconception. Grey flannel trousers look great on all ages and are an extremely practical and versatile option to have in your collection. Men’s flannel pants can be styled for any season - although they are most often referred to as an autumn/winter choice - and can be worn as informal or formal as required depending on the occasion. Gone are the days of shiny polyester trousers, as textured fabrics are proving to be very popular in current fashion. Flannel material is part of this movement as it looks set to return to mainstream men's fashion. Firstly, let's answer the inevitable question - what is flannel? To define flannel fabric is to describe it as a soft woven material made from tightly woven wool. The material is brushed using a fine metal brush to create a soft fabric with a furry finish. The material used in flannel trousers will either be made from combed yarns or carded yarns, each one having a different structure and purpose. Combed yarns are created by rotating metal combs that align the long wool fibres while discarding the short staple ones. What’s left is a strong, smooth yarn with a somewhat glossy finish. Combed yarns are generally lighter and stronger and more resistant to rubbing and is better suited to informal evening affairs and morning events. Carded yarns are brushed in a way that retains the long wool fibres as well as the short ones and consequently, the yarn is weaker than a combed one, hairy and matte. Genuine flannel is always made of carded yarns but it is not advisable to wear carded flannel grey slacks for daily wear because they will wear out faster in high friction areas. Carded flannel is perfect during the colder months of the year because it is heavy, cosy and soft. Flannel pants are the perfect item of clothing to bridge the smart/casual divide and can be appropriate for formal gatherings (apart from black tie events) or dressed down for more relaxed occasions. What goes with grey pants you ask? Practically anything. Grey is a colour that has the most diverse colour combinations. When it comes time to going out, the texture of flannel dress pants is dressy enough to be worn with a classic shirt and tie combination accompanied with or without a blazer or sports jacket. Extra accessories such as pocket squares and lapel pins can also be used to adjust the formality of the occasion. Flannel trousers, usually found in grey, generally come in one block colour, meaning that you can experiment with patterns and can don any jacket in your wardrobe without worrying about whether it will match your bottoms. For regular office wear, dark grey or charcoal flannel trousers are the best bet. If you don't fancy wearing a suit and blazer combination, a slim cashmere jumper in navy, burgundy or forest green or a similar coloured roll neck is a great option to go with grey pants. The joy of flannel trousers is that they look just as good without a jacket as they do with one. 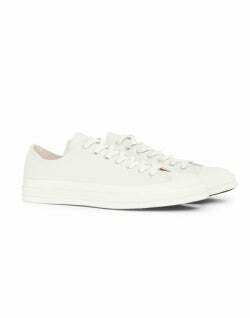 They can be worn in a more relaxed style with a well-fitted T-shirt, a casual collared shirt (a flannel ‘lumberjack’ shirt in the colder months or linen shirt in the summer would suit), or a knitted polo shirt. It has been said that flannel is to winter what linen is to summer and like tweed and cord, it is an extremely practical option for the colder months of the year, keeping you warm and insulated, so you won’t need to pair much else with it. Heavier fabric in the range of 19-24oz is perfect for winter, but middle range fabric at 12-15oz can also be worn in the colder months and is perfect for autumn too. These fabrics tend to come in darker shades of grey. Grey flannel pants are the weapon of choice when it comes to this wardrobe item. Grey is the most neutral of colours and goes well with nearly every other colour and pattern of clothing available. 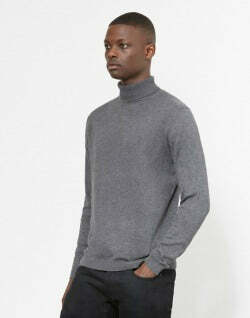 The lighter the shade of grey, the more versatile the trousers are to coordinate with the rest of your outfit. They can easily make the transition from work to weekends. Darker greys are a little more serious and tougher to pair. 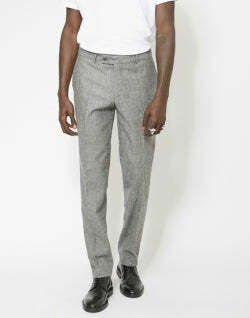 If buying just one pair of grey flannel trousers then a mid-grey will be most suitable. The purpose of a pair of trousers on a well-dressed man is not to draw the attention to his leg line; they should instead provide a complementary backdrop to any ensemble of jacket or shirt, and light grey flannel pants do that perfectly. Other popular colour choices for flannel pants include tan, browns or navy and these are usually seen in less formal suits. These colours are less versatile when it comes to colour coordination, as wearing them will have introduced more colour to the outfit. Although stylish, it's recommended to stick to the grey scale if only buying one pair of flannel trousers and have an alternative colour as your second or third option. Some great colour combinations include brown trousers with a blue shirt or jacket, navy trousers with a tan jacket or white shirt, and if wanting to really stand out then a pair of sky blue flannel pants looks great with pastel shirt. 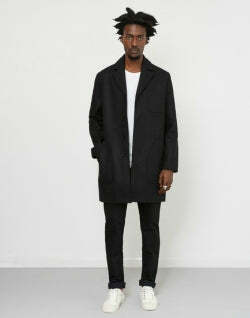 Take a look at this look below with grey pants and a black jacket. What matches with grey? When working out what colour shirt works with grey pants, you’re spoilt for choice. As previously mentioned, no colour or pattern shirt, tie, or jacket will clash with them. All shades of solid blue shirts work very well, but there is really no limit to what outfits go with grey pants. 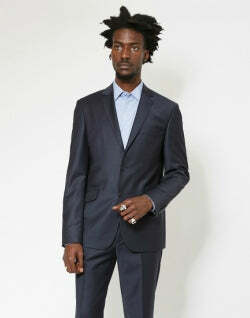 When it comes to jackets single-breasted blazers navy or coloured are very contemporary. They can be dressed up by wearing flannel trousers and a patterned tie and other suit accessories that you require. The silk from a pocket square contrasts nicely against the matte of the flannel and a bright lapel pin can add an interesting pop of colour. Along with choosing what shirt and jacket to wear with your grey flannel trousers, your shoes will also determine how formal or casual your outfit is. 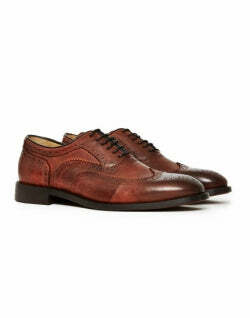 Brown or black Oxfords are your most formal option and work best with grey flannel trousers. 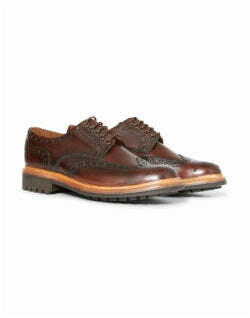 Brogues or slip-on style shoes are less formal but will still look smart if conservatively styled. 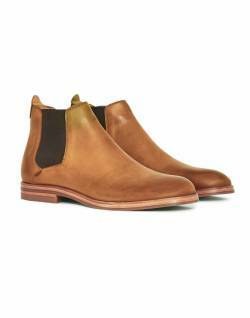 A pair of dress boots is also a great option, especially in the winter months. 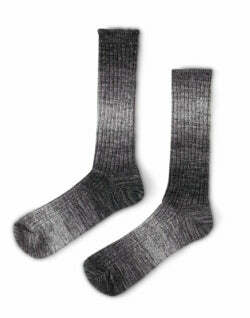 If worn with socks, choose heavy wool argyle socks. For casual wear, you can choose a pair of trainers or sandals with your flannel dress pants either worn with or without socks. The legs on modern flannel trousers are generally tapered down to the bottom and can be cut slim, with turn-ups at the bottom to weigh the trousers down and keep them looking neat. 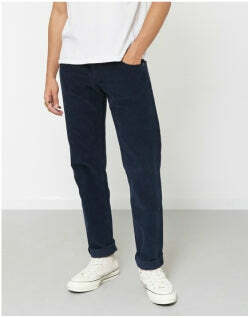 The quintessential flannel trouser cut has a low waist, flat front, belt loops, and a flapped rear pocket. The usual rules apply when it comes to the fit of your flannel trousers as they should not be too tight so that your movement is restricted and is pulled taut across the top of your thighs and buttocks. It can be incredibly difficult to find an average price point pair for flannel slacks because it is a time-consuming and labour-intensive material to produce. The end product will justify the cost as the feel, quality and the texture of flannel is noticeably different when compared to other low-cost alternatives. The best place to buy a pair of high-quality wool flannel pants is at the tailor; the material will be of the best grade and the fit will be to your exact measurements. High street shops are producing great mid-priced flannel products at a fraction of the price. With these cheaper options, there are obviously compromises to be made on quality and many will use wool-synthetic blends instead.